The third and final installment in the Incredible Adventures of Van Helsing trilogy is due out later this month. I got a chance to play a preview build of it late last week, and while the world's were lush with an impressive level of detail, the controls and combat didn't behave exactly as expected. Enemy attack animations would cause their hit boxes to move unexpectedly, which made attacking specific enemies nearly impossible. 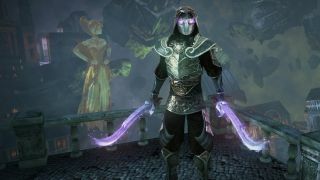 This didn't stop me from having a good time while playing, however, as Van Helsing 3 has some great writing and a unique style that differentiates itself from the standard fantasy setting of most other ARPGs. Watch the video above for my full impressions.